Information and links for solitons, physics, and other sciences with special emphasis on the non-linear world. This post will contain links to mechanics resources. MIT's Open Courseware program offers an entire education online, free. This is an excellent resource. Just looking at the pictures is really cool and worthwhile. The mechanics demonstration site at Wolfram, an educational software firm. "Hyperphysics" a free education site with many demonstrators and education tools. A very large set of links to physics education resources maintained by Pitt. This New York Times piece shows Olympic events like luge, downhill, and half pipe skiing and discusses some of the physics of what must happen to achieve a good run. These are the educational simulations at Colorado.edu. Look in the physics section for mechanics and vectors. MITs Open Courseware site with lectures available on many topics. This is the link for mechanics lectures. These are likely not algebra-based mechanics, but they are still interesting to watch. Zonaland education. This fellow taught high school physics for many years, and has an interest in ray tracing and animations, which he has turned to developing an animated physics and mathematics education site. It looks pretty neat to me, at first glance. Let me know what you think about this. Youtubes from Stanford University's Leonard Suskind. This is calculus-based material, but you can still get a lot from it without knowing calculus. There are many more lectures in this series, but they are reachable by clicking from these videos, so I'm just posting these. Galloping Gertie, the Tacoma Narrows bridge disaster, is a famous example of resonance. Different modes of sound wave propagation are described in this non-destructive evaluation site. Ocean waves are "gravity waves," in that the restoring force comes from gravity, not waves of the gravitational force itself, a long-sought phenomenon in physics. The motions in water gravity are more complex than those of strings or sound. This site gives a great discussion of some of the issues, and the complexity of the motions. Here's a link to an amazing pendulum array video. It shows a series of pendulums with monotonically increasing lengths that are started in phase, and that each oscillate at a different rate. The resulting patterns are fascinating, surprising, and often beautiful. A set of neat little applets from Walter Fendt. Scroll down to the oscillations and waves section to see simulations of resonance, coupled pendula, beat frequencies, etc. A set of physics applets from the University of Colorado, including waves, motion, quantum, light, and many others. A really nice simple harmonic motion demonstration at CoLoS, Conceptual Learning of Science, showing a revolving circle linked to an oscillating spring. Very clear depiction of displacement, velocity, and acceleration. Physics demonstration videos from Wake Forest University Dept. of Physics. A nice video on Einstein's theory of relativity. And one on visualizing the fourth dimensions, and more. Michio Kaku on the 11 dimensional branes that string theory postulates. This post will include updated links (2015) to resources for my Electrical Circuits students, and anyone else interested in learning to work with electronic systems. The resources available in this area are remarkable, readily accessible, and enable the creation of amazingly sophisticated systems with even a basic knowledge of electronics. These links go to youtube videos that give great explanations of the fundamental physics behind inductors. It is critically important to have a good feel for what these components do, not just be able to solve the arithmetic equations that describe them. A video that shows building inductors and demystifies them. A description with animated drawings that shows current and magnetic fields. This is a nice intro to op-amps from a prof at U Oregon. Very clear descriptions of basic op-amp circuits. A wild and crazy op-amp page at Stanford. Good stuff and some links to other good op-amp sites. A youtube tutorial on a simple way to understand most op amp circuits. A second, clear explanation of how to analyze even fairly complex op amp circuits. Another youtube talk, somewhat lengthy and definitely quirky, but fairly clear. Fritzing is "an open source hardware initiative that makes electronics accessible as a creative material for anyone. We offer a software tool, a community website and services in the spirit of Processing and Arduino, fostering a creative ecosystem that allows users to document their prototypes, share them with others, teach electronics in a classroom, and layout and manufacture professional pcbs." Design a circuit, and Fritzing will enable you to produce small run (like 1) circuit boards that are completely professional in appearance. Arduino is another open source initiative that enables easy access to microprocessor-based electronic systems at very low cost. Arduino can sense the environment by receiving input from a variety of sensors and can affect its surroundings by controlling lights, motors, and other actuators. The microcontroller on the board is programmed using the Arduino programming language(based on Wiring) and the Arduino development environment (based on Processing). Arduino projects can be stand-alone or they can communicate with software running on a computer (e.g. Flash, Processing, MaxMSP). The boards can be built by hand or purchased preassembled; the software can be downloaded for free. The hardware reference designs (CAD files) are available under an open-source license, you are free to adapt them to your needs." PSpice is a circuit simulator that is the industry standard for modeling performance of electronic systems. Cadence produces high end circuit capture and analysis programs that are based on Spice. "Cadence® PSpice® A/D is the de-facto industry-standard Spice-based simulator for system design. It simulates complex mixed-signal designs containing both analog and digital parts, and it supports a wide range of simulation models such as IGBTs, pulse width modulators, DACs, and ADCs. Its built-in mathematical functions and behavioral modeling techniques enable fast and accurate simulation of designs with efficient debugging. PSpice A/D also allows users to design and generate simulation models for transformers and DC inductors." Some electronic component retailers. The catalogs from these folks are free, and are great browsing resources for getting a feel for the range or electronic devices that are available. Four major, general purpose electronic suppliers first, Mouser, Digikey, Allied, and Newark. Lots of solar cells and related components here. Two major optical component suppliers. I am convinced that opto-electronics will be increasingly important in future electronic systems, so am including these here. Although AI systems can already outperform humans at several well known baseline tasks, i.e. chess, and the Jeopardy competition, they do not currently pose an existential threat to humankind. That situation is in flux, however, as a completely uncontrolled and little regulated profusion of AI systems are created by human software and hardware designers. Moore’s law holds that the number of transistors that can be put in a chip will double every 18 months. Actual chip production progress has maintained that pace for decades. A similar kind of progress has taken place in software, and in the ubiquity of information collection and data acquisition, storage, and analysis. This term we will analyze the available information to gain insight as to whether developing artificial intelligence systems pose an existential threat to humankind. A good starting article, putting the question in a serious focus. An article on Viv, a learning, question answering system developed by some of the folks that helped develop Siri for Apple. The Wikipedia AI article. Use only as a staring point, and do not trust anything in Wikipedia. An introduction section at AAAI with introductions to various topics. The library of over 10,000 AI articles in the AAAI site. The journal Artificial Intelligence, from Elsevier publishing. Some articles are open access (free) but for most, only abstracts can be seen without exorbitant fees. This article in the Washington Post discusses the generally inept and clueless responses of today's crop of politicians in addressing both upcoming, and current issues and threats from AI systems. This post with provide links to articles on the development of the amazing material, graphene, single layer thick graphitic carbon. IBM researchers have produced a graphene-based integrated circuit with good characteristics. Graphene circuits article from the British Broadcasting Agency. Here's a naysayer who thinks all this research is wasted. In my experience, we spend far to little on research in general, so even if it takes a long time to bring useful results, it is rare for research efforts to be a waste. 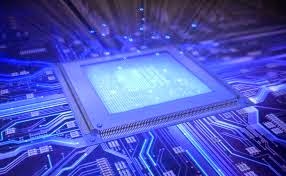 More on IBM's graphene integrated circuit, an RF receiver with performance comparable to silicon. Gigahertz performance in a graphene oscillator circuit. This post will include links to resources for my Electrical Circuits students, and anyone else interested in learning to work with electronic systems. The resources available in this area are remarkable, readily accessible, and enable the creation of amazingly sophisticated systems with basic knowledge of electronics. What's a Higg's? This education animation in the New York Times is a great explanation of the cosmic field that is believed to cause mass.